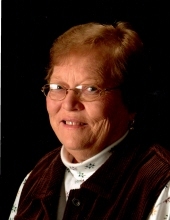 Barbara Ann Stuart, age 79, of Omaha, went home to be with her Lord on April 2, 2019 at Bickford Cottage. She was born September 15, 1939 to William Smith Jennings, Jr. and Flossie Phillips Jennings of Stanberry, MO. She is preceded in death by her parents and by her infant brother, William Smith Jennings, III. Barb often recounted her early years on the family farm and the fact that she was the oldest grandchild on the Jennings side. She told stories of how her grandfather, who was a teacher, stood her on his desk and introduced his students to his red-haired granddaughter, Barbara Ann. As a young girl, she would watch her younger brother, Merlin, at the end of row as her parents worked in the field. At the age of 14, her mother drove to St. Joe to acquire a work permit so that Barb could work as a soda jerk at Henderson’s Drug Store in Stanberry. She attended Stanberry High School, and graduated in 1956. The following year was spent at Northwest Missouri State College where she was taking business classes, as she aspired to be a high school business teacher. Barb had a good business sense and had a penchant for numbers. Unfortunately, money was tight, so Barb was unable to continue her formal education. In spite of that, Barb was a life-long learner, teacher, and entrepreneur. As a young girl, her parents did not attend church. When Barb almost died from a ruptured appendix, her dad decided that it was time that his family started going to church. They went to the Stanberry Baptist Church and, at the age of 9, young Barbara Ann gave her life to Christ as her Lord and Savior. Later, she recognized that God used her health crisis as a means to bring her parents to a saving knowledge of Him. Barb continually pursued Jesus and developed a deep relationship with Him through the good and bad times of her life. She was unwavering in her faith and always trusted that God would provide for all of her needs. As a young mother of two small boys, she spent countless hours volunteering at The Omaha Baptist Center. It was there that she met her lifelong friend, Betty McCormick, and served alongside her for years helping children. After Barb’s death, Betty shared that it would be impossible to count how many people were touched by Barb’s years of ministry to others. For a number of years, Barb worked in the boys’ school cafeteria and later at the school district’s business office running an “accounting machine.” In 1974, she started working for the Chicago and Northwestern Railroad as a clerk at the railcar repair shop in Council Bluffs. The shorthand classes that she took in high school paid off, as that skill enabled her to initially get that job and to also keep that job for many years. Little did she know that when she started at the railroad in 1974, that she would retire from there 30 years later. Her career with the railroad took her to Boone, IA (where she also opened a restaurant called BJ’s Café), Chicago, and St. Louis. Her final position came about as a result of the acquisition of the C&NW by Union Pacific, and with it, a one-way ticket back to Omaha as her new “home-base.” As a part of the implementation team, she traveled to each of the railcar/engine repair shops across the entire UP system – from Los Angeles to Chicago and everywhere in-between. Along the way, she would always be sure to send her grandchildren postcards of her travels and bring back fun souvenirs. Barb loved her family fiercely and would brag about her grandchildren to anyone who would listen. She is survived by her two sons and their wives, Dennis and Sara Stuart of Kansas City, MO and Doug and Janette Stuart of Omaha, NE: also by her grandchildren and their spouses, Kathleen and Tucker Cowie of Houston, TX; Tierney Stuart of Kansas City, MO; Emma Stuart of Kansas City, MO; Ben and Sarah Stuart of Omaha, NE; Nick Stuart of Shenandoah, IA; Maddie Stuart of Omaha, NE; and Ellie Stuart of Omaha, NE. She is also survived by her brother and his wife, Merlin and Carolyn Jennings of Lathrop, MO; also nieces, nephews, and dear friends. Memorials may be sent to Converge.org in support of the veterinary mission work of Doug and Stephanie Lewis, long-time family friends or directed to the family. Survived by sons; Doug Stuart (Janette) of Omaha, NE, Dennis Stuart (Sara) of Kansas City, MO, seven grandchildren; Kathleen Cowie (Tucker) of Houston, TX, Tierney Stuart of Kansas City, MO, Emma Stuart of Kansas City, MO, Benjamin Stuart (Sarah) of Omaha, NE, Nicholas Stuart of Shenandoah, IA, Madelyn Stuart of Omaha, NE, Elizabeth Stuart of Omaha, NE and brother; Merlin Jennings (Carolyn) of Lathrop, MO. Celebration of Barbara's Life: Saturday, April 20, 2019 at 11 am at Braman Mortuary Southwest Chapel, 6505 S 144th St, Omaha, NE with a reception to follow the service, also at the mortuary. To send flowers or a remembrance gift to the family of Barbara Ann Stuart, please visit our Tribute Store. "Email Address" would like to share the life celebration of Barbara Ann Stuart. Click on the "link" to go to share a favorite memory or leave a condolence message for the family.